Optional valet available Friday & Saturday nights. Thank you for reserving at Morton's The Steakhouse - King of Prussia. We look forward to serving you. USDA prime-aged beef, succulent seafood, fine wines, chilled cocktails, decadent desserts, crisp white linens and exceptional service...Morton's serves The Best Steak Anywhere. For more than 30 years, Morton's is the steakhouse by which all others are measured. For special events, private dining Boardroom information, worldwide location listing, gift cards and online reservations, visit www.mortons.com. We had a waiter named Peter, he was extremely personal and made sure my girlfriend and I had the best time at Morton’s possible. He was respectful, funny, and extremely helpful with everything. Parking can be a pain, but they offer Valet in the back entrance (Across from Costco). We were met upon entry by 2 charming hostesses and we were promptly seated. Water as served and waitress provided menus, drink orders were made. Bread was delivered, I stopped eating carbs a year ago, but I was told the onion bread was very good. Drinks arrived, specials were announced, meals were ordered. Appetizers were served, I had the shrimp cocktail which was on the small size for the price that was charged. The main course came out and we were all very pleased. I had the bone-in cowboy steak which was very good. The GM came over to our table and we spent 5 minutes talking about the Prime Rib that Morton's used to serve. They should bring it back as a special 1-3 times a year. 32oz on the bone!!!! When we left, the GM presented me with a gift, a container full of their seasoning that they use on certain meats and on the Prime Rib when it was on the menu. Overall, a great meal and a pleasant experience. My companion was disappointed that they no longer do the menu presentation. Dinner was delicious. The server recommended against the soufflé so I ordered the bread pudding ... I was not disappointed! It was a lovely evening. Morton's Never fails to deliver. Consistently the best steak house of all them all in my opinion. My wife ordered Oysters, some of which were so small she almost couldn’t pick them up. While the manager offered to bring he a couple of extras, it came when we were half way through our entree. 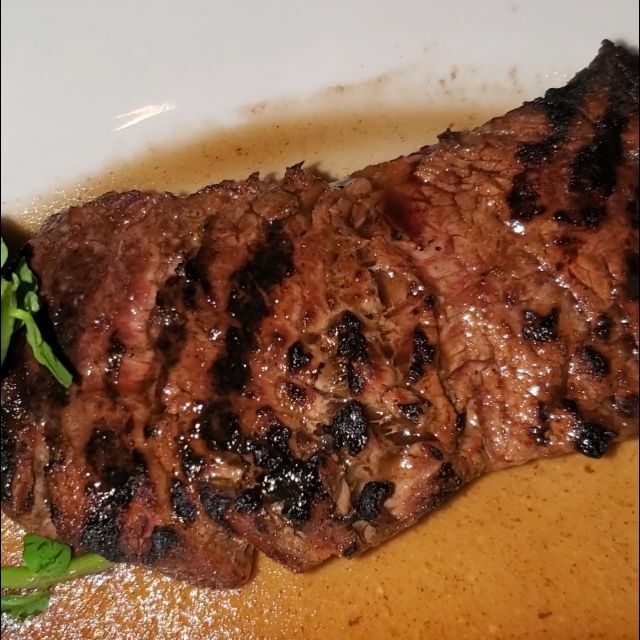 I ordered my steak medium rare, it came medium well. In other restaurants of this level, either the oysters would have been taken off the bill, or a dessert would have been offered. Overall, we were underwhelmed by the experience. Outstanding all the way around. Food, service and atmosphere. Over the top customer service. They even took a family photo and provided us with a few copies so we could remember our special event. Nice touch! Great experience. New spring menu with bone in filet and cauliflower is great. Even catered well to the youngster at the table. She enjoyed the royal treatment. Morton's does not disappoint as usual. 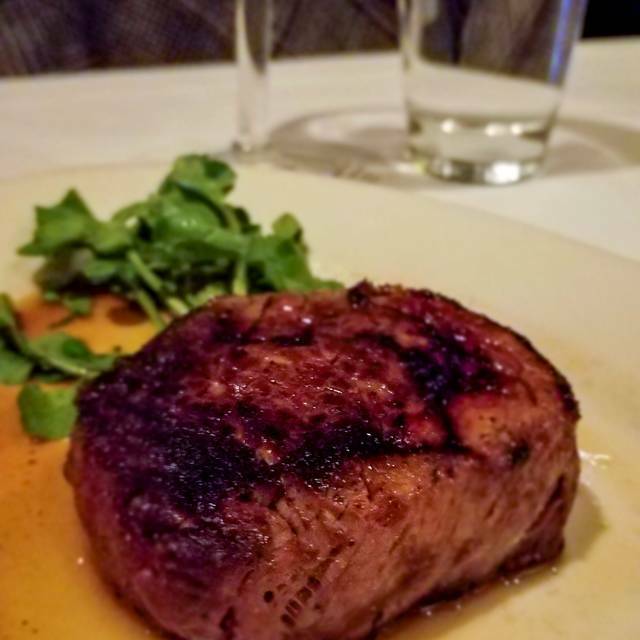 I took a first time Morton's guest to my favorite location in KOP PA and he promptly and spontaneously stated at the end of the meal "that was the best filet I have every had".....I could only agree. Food is good but compared to some of the steakhouses I think it’s overpriced. Outstanding food and service. Most important how waiter explained the food and the attention from the manager was a plus. I made a reservation for my boyfriend's birthday for Saturday at 5. We arrived, valet parked, and were seated promptly. We started the night with having the baked sampler for each of us. We were not impressed. The sampler consisted of 4 pieces (one scallop, one shrimp, one crabcake, and one oyster) and was $29pp. Three of the four pieces were slightly burned on the bottom. The best item was definitely the oyster. Then came our soups....onion soup and lobster bisque. The onion soup was good, but the bisque was horrible. 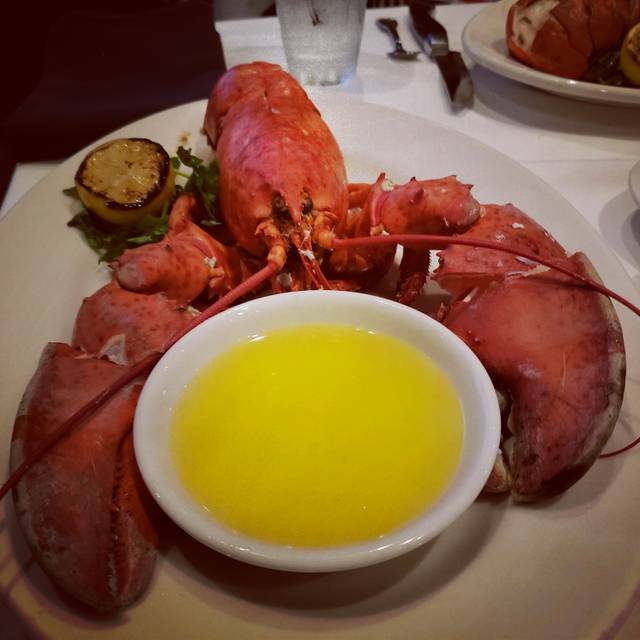 It tasted like butter with no other flavor and had three pieces of lobster. Then came the steaks and sides. I can say that the steaks were very good and were cooked perfectly. As for the sides, that is another story. The creamed spinach was flavorless and the truffle fries did not taste like any truffle oil was added to them. The chocolate lava cake was excellent and the presentation was very nice. Overall, this steakhouse is not worth the money. My boyfriend said we were better off going to Outback. Very disappointing! We will not be visiting another Morton's. Mary our server was knowledgeable and fun! Steaks were great and was the sea bass! Our waiter, Glen, was AMAZING as were all the other staff at Morton’s! We go every year for my husband’s birthday and they always make our experience so special! Pricey but worth it , best meal ever . The waiter was pleasant and accommodating! Great food, great staff. From the moment we got their w were greeted by welcoming and gracious hostess Khadjah (sp). Dave our waiter was super too! They both deserve customer excellence awards. We all even got a nicely presented photo of our group. we were there to celebrate a couple birthdays. The birthday girls will always remember our great time at Morton's. Thought we would take advantage of restaurant week at Morton’s, but not quite worth it.The portion was extremely small almost a tease , wait staff was attentive,drinks were good. it also seemed very dark and loud in there. Not overly thrilled. On restaurant week yes, but any other time no. The Food was ok, just OK. The service was fantastic, I have no complaints there. I am used to going to capital grill for special meals. I will continue to do that. We were celebrating my husband’s birthday & restaurant week. Our server Glenn was outstanding. I only wished the food was as good as his personality. Went for restaurant week. The filet was dry and bland... which is shocking seeing how filet is probably the most naturally tender cut of steak. The creamed spinach tasted microwaved. The potato’s were also bland. Extremely disappointed in the food. 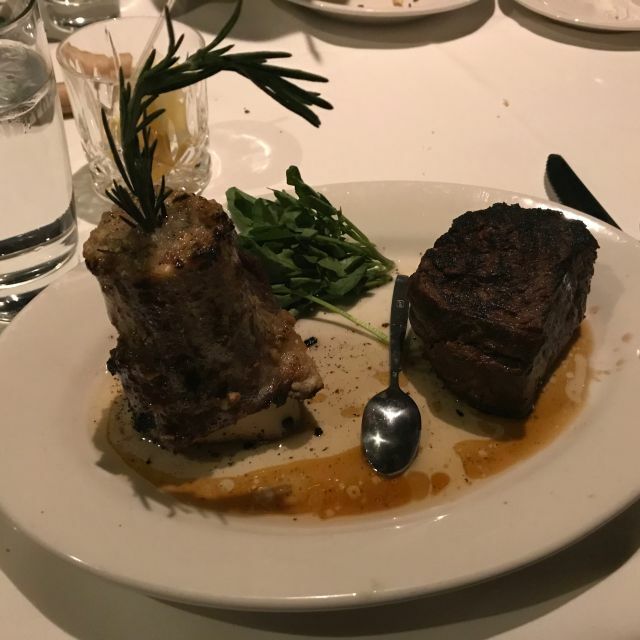 I’ve eaten at some great steakhouses and was looking forward to adding Morton’s to the list. Very disappointing food. At least Glenn was great!!! The table behind and to our right was a bit rambunctious, food took a while to come out, waitress was very pleasant but not the most attentive. I went during restaurant week to see what the fuss was about hoping for it to spark a desire to return at full price...it did not. I expected the service and food to be better in an effort to draw more customers. It only left me unimpressed and thankful I did try them out at a discounted price as I would have been livid had I gone and had to pay full price. I’ve had better salmon at Longhorn Steakhouse and the chocolate mousse tasted like something you could get at the dollar store; not decadent as expected. I told my dining partner they were lucky we weren’t critics as she said her meal was subpar as well. However, we did agree the drinks and veggies were good. First time I was ever at Morton’s. My husband had the lobster bisque which he thought was bland. My husband ordered the double pork chop and WoW, it was great! I ordered the 6oz. Filet and was very disappointed. I feel it should have cut with a fork or close to it and it was far from that. My husband switched dinners with me so that I could have the pork and because of that it was the nicest dinner from beginning to end that I have had in a long time. We enjoyed the au gratin potatoes and your Caesar salad that I asked for with balsamic dressing instead of the Caesar dressing was also great! The bread served with our drinks was outstanding. We would definitely go back because I enjoyed the bread, the pork, potatoes and salad so much along with excellent service and ambiance. Great food and service. Morton’s never fails to disappoint. My top steakhouse in King of Prussia. Our family went for Restaurant week and it did not disappoint. Food was delicious. Our waiter was fantastic. We all enjoyed! We went for restaurant week and I got the onion soup, filet mignon, mashed potatoes, and we did the $6 upgrade for a chocolate dessert. My steak was a tiny bit overcooked, but the potatoes were great and the chocolate dessert was AMAZING. Overall, the food was delicious and I would definitely go back. Greta food and great service. Portions are large and can be shared. Very competent servers. Excellent food and experience! As usual, the food was amazing...steaks were cooked to perfection! The service is top notch. We took two of our teenage kids for the first time and our waitress made them feel very special. Can't wait to go again. Always a great time! Service and food are consistently exceptional.